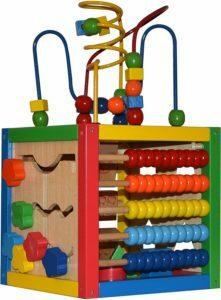 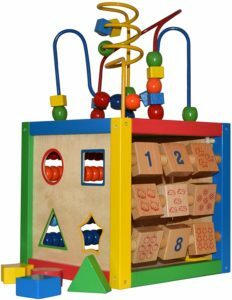 Play22 Activity Cube with Bead Maze – 5 in 1 Baby Activity Cube Includes Shape Sorter, Abacus Counting Beads, Counting Numbers, Sliding Shapes, Removable Bead Maze – My First Baby Toys – Original is now available at Amazon.com for just $29.99 (REG $59.99) (As of 05 April 2019, 19:15 PST – Details) with $30.00 (50%) Savings. 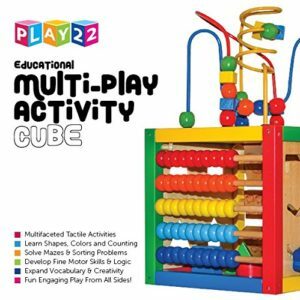 Play22 Educational Multi Play Activity Cube – Multifaceted Tactile Activities – Learn Shapes, Colors And Counting – Solve Mazes & Sorting Problems – Develop Fine Motor Skills & Logic – Expand Vocabulary & Creativity – Fun Engaging Play Form All Sides! 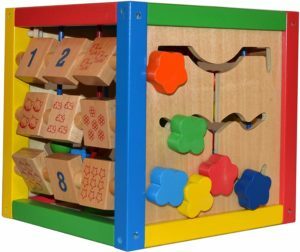 Baby Activity Cube Can Help Develop Shape and Color Recognition and Number Counting – Promote Hand Eye Coordination – Foster Problems – Solving Skills. 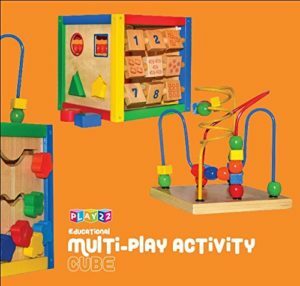 – Cube Can Determine Their Ability To Utilize and Learn To Identify and Match Shapes Will Build Fine Motor Skills and STEM Learning. 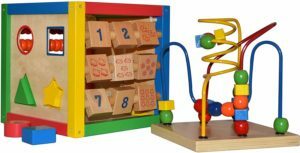 Bead Maze Activity Cube Is Made Of Non-Toxic Safe Materiel For Baby’s and Toddlers – Comes Assembled – Measures 8 x 8 x 7 inches – Great Gift for Birthday and Holidays For Boys & Girls.